From an early age, both Olga Volozhinskaya and Sergey Petrovskiy loved performing on ice. The Russian-born couple grew up to meet, marry and become world-class figure skaters. Olga partnered with Alexander Svinin while competing for the Soviet Union. They won the 1980 Grand Prix International St. Gervais, earned silver at the 1984 European Championships, a silver at the World Professional Championships and placed seventh at the 1984 Winter Olympics in Sarajevo She was a member of the national Soviet team for many years. 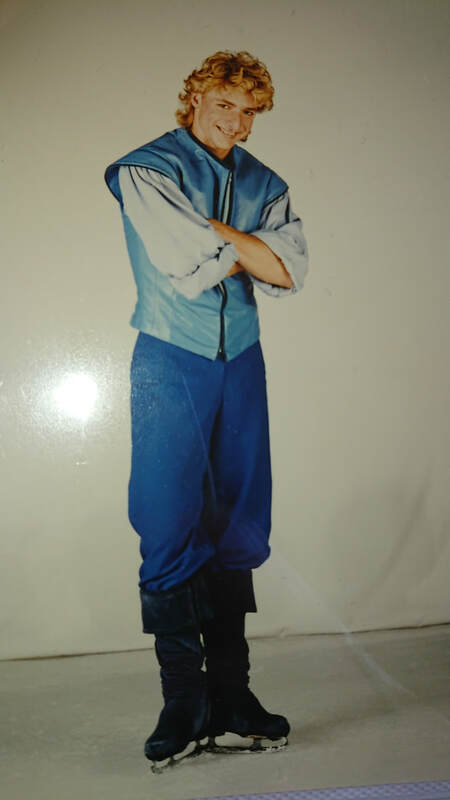 While Olga was living her Olympic dream, Sergey took a different path, landing a lead role in the Disney on Ice production of "The Spirit of Pocahontas," which debuted in 1996. Playing "John Smith," the ice show toured the world for the next four years and garnered great reviews. "I liked being part of something so high quality," said Sergey, citing the show's $10 million budget. A reviewer for the Deseret Times in Salt Lake City, calling Sergey a "brilliant Russian skater," noted, "Those in charge of casting scored another look-alike coup. Petrovskiy looks as ruggedly American as Davy Crockett and as energetic as Johnny Appleseed." When Olga came to the United States to see the show with their young son, she discovered her Olympic credentials didn't carry as much weight as the fact "I was the wife of John Smith -- that was big." She recounted that "we kind of spoiled one of his shows. Nikita, our oldest son, was two at the time. We were sitting really close to the ice. He asked if he could go see Daddy. He yelled 'Daddy, Daddy.' Laughing, Sergey recalled it was a scene where he was supposed to be quietly surveying the land. "I had to keep a straight face." After the show's run concluded, Olga and Sergey made the States their new home, moving to Detroit, where they both continued to remain involved in ice skating -- Olga teaching dance choreography and Sergey serving as figure skating program director at the Troy Sports Center. In the years ahead, they would have another son, Anton. Recognized as one of the elite coaches in the US, Sergey's students have competed in both the Junior World Championships and the Olympics. 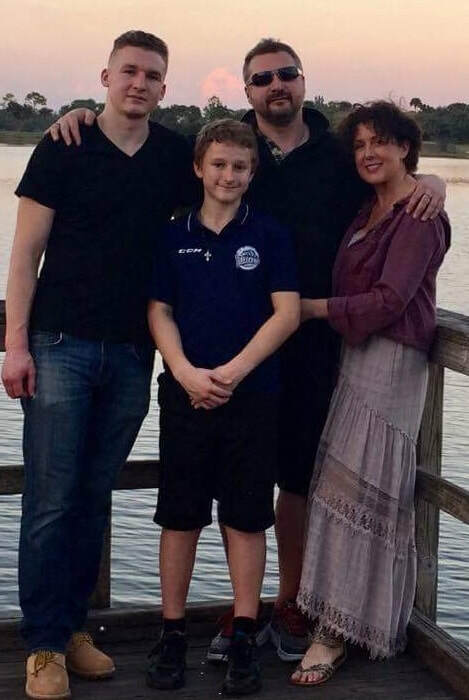 Almost three years ago, the Petrovskiys moved from Detroit to Florida, making a new home in West Palm Beach. 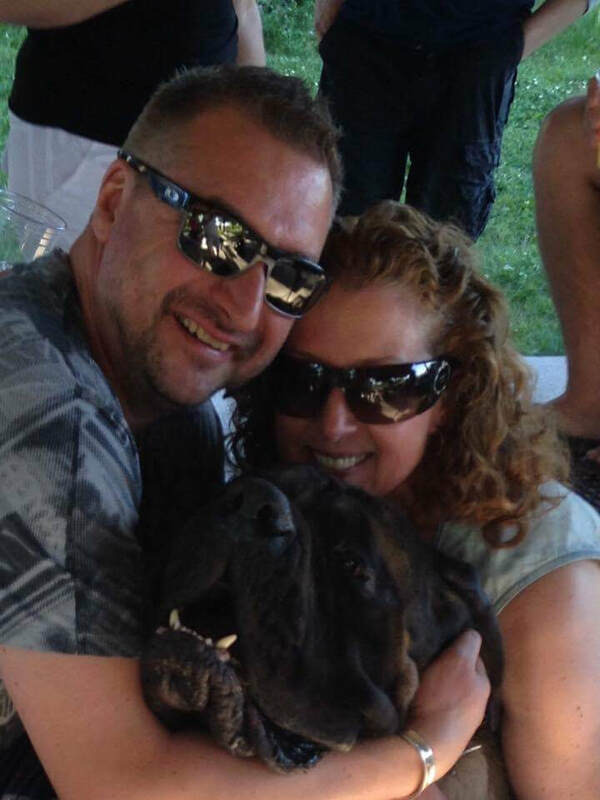 Oldest son Nikita, who played Triple-A hockey, graduated college and opted to remain in Detroit, where he currently serves as a police officer. And while skating will always be their passion, Olga and Sergey, inspired by the Sunshine State's beauty, have found a second career: Real estate. "We bought and sold houses for ourselves," said Olga. "We liked the process. It was fun. My part was negotiating; Sergey's was doing the paperwork. It's exciting to meet different people and expand our possibilities." So they got their real estate licenses and formed OS Global Real Estate. As in ice skating, they have found success in their new career, too. "This month we sold one million dollars in properties," he noted. Recently, they joined PBI Executive Real Estate, a new startup launched by Robert Prier, who serves as president, and Russ Dise, Principal. Dise is also president of JetLease, a private aviation leasing and finance company based in Palm Beach. They met, appropriately enough, through skating programs inWest Palm Beach. Prier coaches hockey while Sergey coaches power skating. Sergey said they had a lot in common, including the importance of "quality, drive and getting results." He added, "We always think big. We were taught that way -- to be the best. Not everyone will be an Olympic champion, but you train to be the best. We want to be the best here, too. That's why Bob and Russ created PBI." As they look forward to new opportunities ahead, both will stay involved in skating. Olga is currently working with a skater in San Diego on Olympic freestyle choreography. Youngest son Anton, 13, is an honor student who is excelling at -- what else? -- hockey. In Florida, they have found the perfect place for pursuing their dreams. "I love the ocean," said Olga, "and go a lot." Sergey added, "You look around and think you are on vacation." 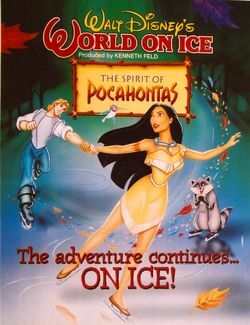 Sergey as John Smith in "Spirit of Pocahontas"